Researchers have developed a revolutionary plan that offers a roadmap for the United States to reduce food waste by nearly 20% within a decade. And not only that, the plan would also create thousands of job opportunities and save consumers billions upon billions of dollars. The report came just months after a federal initiative aimed at cutting food waste was launched. 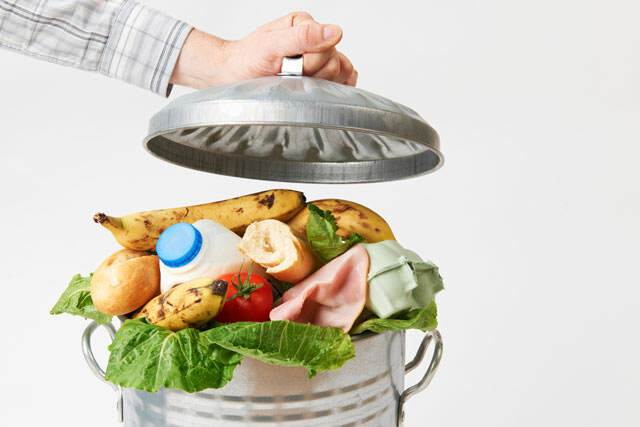 The initiative’s main point is cutting food waste by 50% by 2030. It features 27 points that list ways to address the issue, ranging from eliminating sell-by dates to changing the composition of animal feed. The people behind the initiative are a non-profit and corporate collaboration that goes by the name of ReFED and draws support from more than 30 organizations. This long list of organizations working together for a cause that will benefit all mankind includes the Natural Resources Defence Council (NRDC), investment firm MissionPoint Partners, as well as multinational professional services firm Deloitte. Dana Gunders, NRDC senior scientist, explained that when we waste food, we also waste all of the resources it takes to bring it to our plates – everything from money to farmland, energy, and water. Basically, everything that was invested in the creation of the food was invested for nothing. The report managed to divide the solution into three separate categories: prevention, recovery, and recycling. To begin with, the report claims that food companies should adjust packaging to discourage waste by making smaller packages, as well as designing these same packages to efficiently prevent food from spoiling. Distributors should invest in technology in order to eliminate food waste during transport. If carried out appropriately, these preventative measures would help save a rough estimate of $8 billion and prevent 2.6 million tons of food from being wasted. As far as recovery solutions are concerned, they aim to take food that would otherwise be thrown away and use it for other purposes before it goes to waste. Starbucks has recently released a statement in which they promised to give all the food that would normally go to waste to homeless shelters. The report also notes that creating tax incentives to donate food, softening regulations on food donations, and processing food to extend its life are all possible means of reducing food waste. 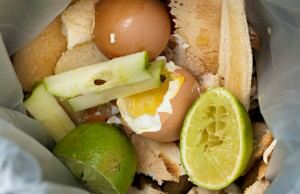 Additionally, the study encourages recycling food once it is no longer edible – investing in the recycling infrastructure could greatly reduce the quantity of food that ends up in the country’s landfills. The thing is that food waste isn’t a problem just because food is wasted. It also contributes to a number of similar problems, ranging from food insecurity to climate change. An average American family currently wastes more than two million calories of food annually. Two million calories! Can you imagine all the things that could’ve been done with all that food and how many hungry mouths could have been fed with it? At the same time, other American families remain rather insecure when it comes to dieting, relying heavily on cheap, unhealthy, and overly processed food. Carbon dioxide produced in the process of growing crops and raising livestock also influences global warming. In a recent report by the US Environmental Protection Agency (EPA), it is stated that nearly 10% of the greenhouse gas emissions in the US comes from the agriculture sector, which should definitely not be overlooked. We should aim to reduce these numbers and we can do so only by contributing on a global scale. One person cannot fix the current issue nor can a hundred people do it alone. The solution is simple – we must stand united with the common cause of preserving our planet and helping those in need.